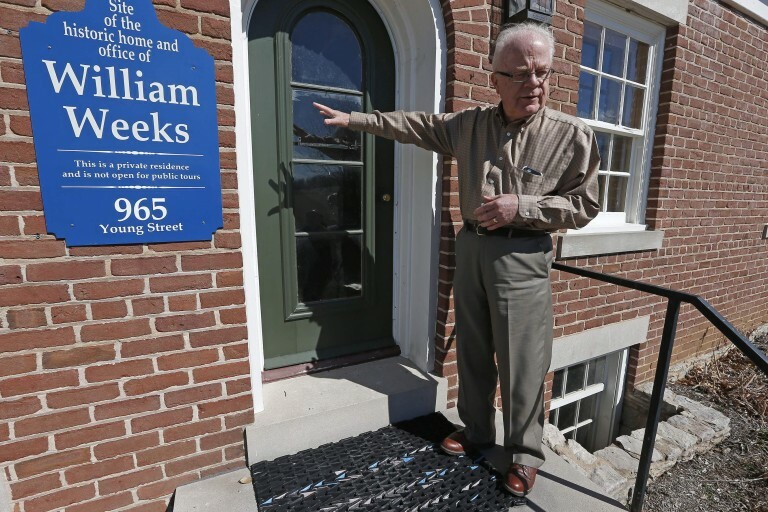 Standing on the steps of the William Weeks Home and overlooking an empty grassy field, Steven Olsen sees not only Nauvoo’s past but its future. The two are intertwined for Olsen, senior curator for historic sites in the church history department of the Church of Jesus Christ of Latter-day Saints. Olsen engineered a master plan for Historic Nauvoo, approved by church leaders in 2014, designed to feature core messages, integrate historical landscapes, increase authenticity and improve guest experiences by 2039, the bicentennial of Nauvoo’s founding. The plan, outlined Tuesday, extends beyond bricks and mortar in Nauvoo, the largest of the church’s historic sites. Mayor John McCarty said the changes sound “promising” for the community. The plan’s first phase focuses on the roughly 20-acre “Temple District” and calls for restoring three historic homes, recreating another home along with the West Grove and other landscape features and adding a building housing original stones of the Nauvoo Temple. To read more about the plans for Nauvoo in the Herald-Whig, click here.